Our Healthy Living Day will focus on creating and sustaining a Healthy Mind, Body & Spirit for all our students. This day will include a morning prayer service to enrich the spirit, and an afternoon of STREAM projects to challenge our students’ minds and problem-solving skills. The central activity of the day, and the basis of the STREAM projects, will be our all-school Walk-A-Thon, which will be held at Highfield Park. This will also serve as an all-school FUNdraiser. Students will report to school as usual. 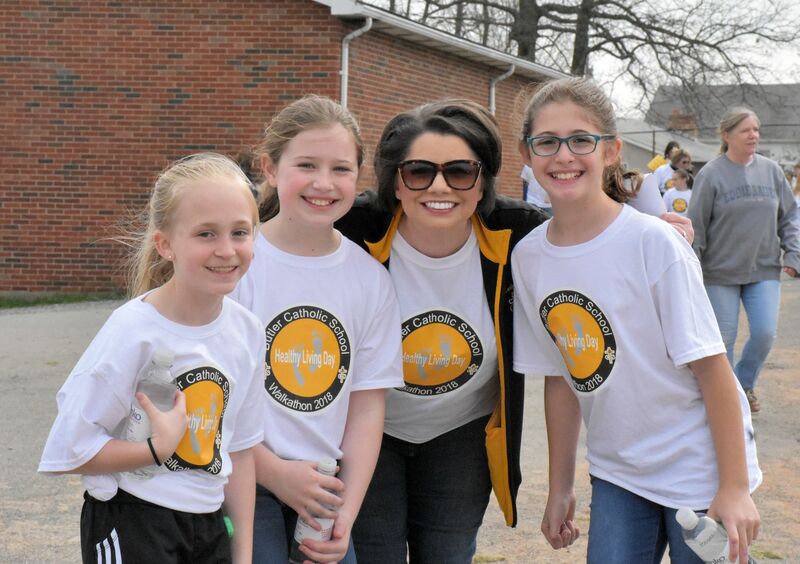 There will be an all-school prayer service shortly after school begins, and then all K-8 student will board buses and go to Highfield Park for the Walk-A-Thon. Parents wishing to join their students for the Walk-A-Thon should be at Highfield by 10 AM. The walk will end by 11:15 AM, and student will board buses to return to BCS at 11:30 AM. There will be a picnic lunch in the school gymnasium for all students and parents upon arrival back to school. Parents will need to drive themselves to the school and meet their child(ren) there. After lunch, the students will return to classes and have an afternoon of STREAM activities. Afternoon dismissal will be as normal. Preschool students cannot be bused, but are encouraged to participate in the Walk-A-Thon with their parents. If you wish to have your preschooler participate, please bring him/her to Highfield Park at 10 AM. You and your child(ren) may walk together. At the conclusion of the Walk-A-Thon, if your child is a full-day preschool student you may drive him/her to BCS and enjoy the picnic lunch together. Your child will then return to class as normal. Half-day students may also return to school and enjoy the picnic lunch if you would like! Because Healthy Living Day is also serving as a school fundraiser, we are seeking sponsors for the Walk-A-Thon. Information on available sponsorship opportunities is available by emailing healthyliving@butlercatholic.org, or through the School Office. We encourage all BCS Families to ask a business they know to serve as one of our sponsors. In addition, we are asking each family to obtain Walk-A-Thon pledges of $50 total.